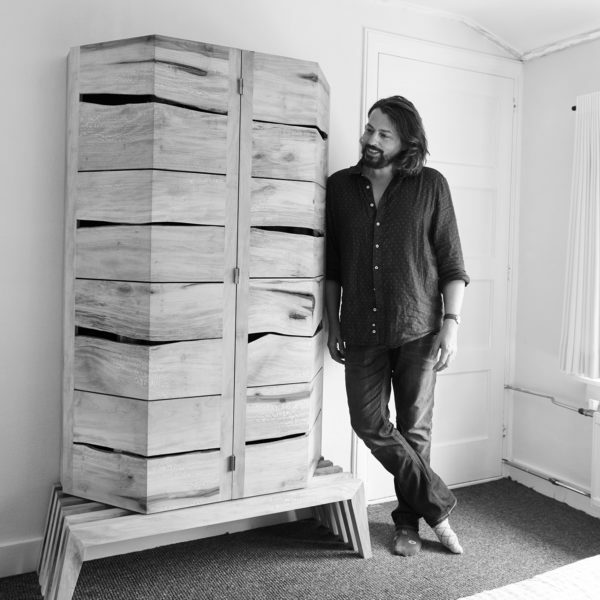 Wilfred Kalf is a designer and maker of furniture, interiors and art objects. 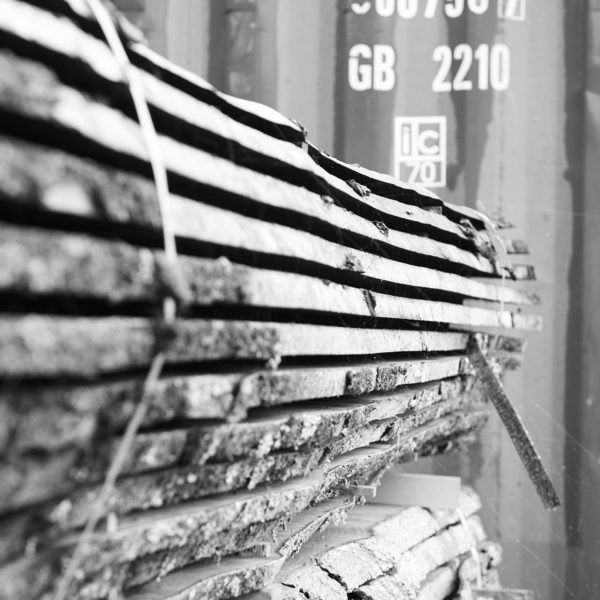 The sustainable use of raw materials dictates many decisions. 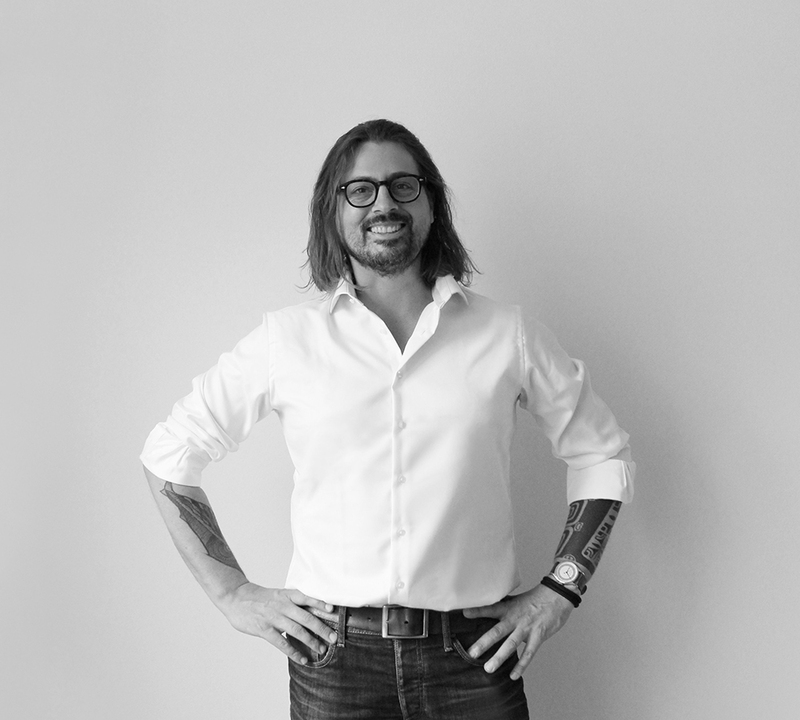 Independently or in collaboration with other designers or artists, Wilfred creates work upon commission from private customers, institutions and municipalities. The commission could revolve around your own tree, a tree from your neighbourhood or a tree that has fallen naturally; Wilfred is more than happy to work from tree to product. 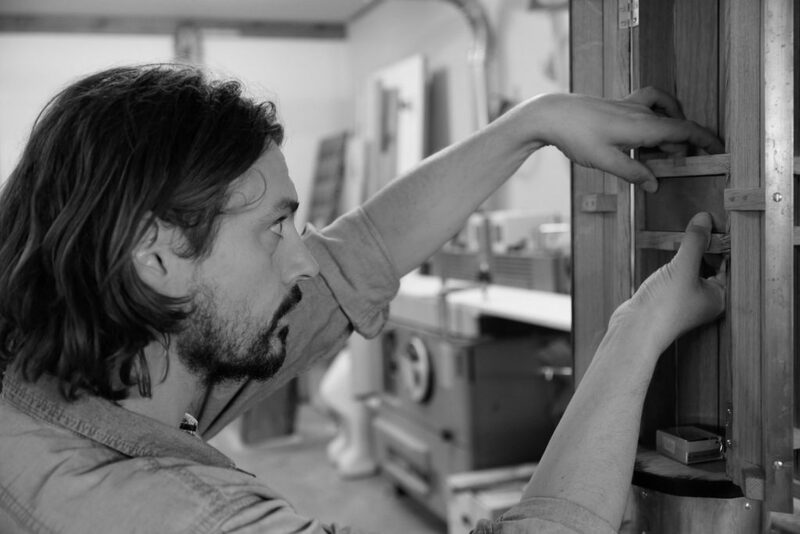 His work is shown internationally through Masterly The Hague, Masterly – The Dutch in Milano, at Dutch Design Week and in a gallery in Australia. The wealth of nature is an inexhaustible source of inspiration for Wilfred Kalf. This is visible in his furniture and objects, in which he uses the structure of the tree trunks as the basis for his designs. He has also long been captivated by 17th century cabinets. Wilfred’s work harnesses the various layers, secret compartments and mechanics. 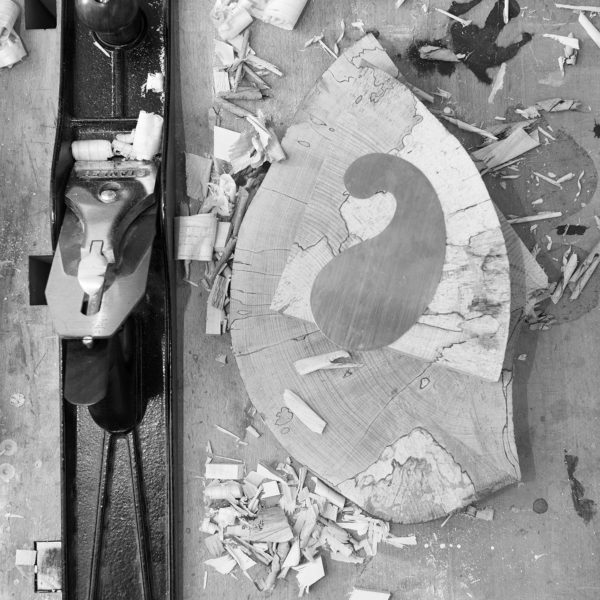 Just as the old masters he studies details and embraces the artisan approach to transform a tree into a new form. In the footsteps of the master painters who sought out their raw materials and created the paint with which to create their masterpieces, Wilfred processes the tree as a raw material from which to create an object. In these hectic times with slow as a trend, Wilfred is the slow designer who creates beauty through devoting his undivided attention to it. Near to Wilfred Kalf’s workshop set in the Zwammerdam countryside lies an overgrown pond in which tree trunks float amongst the duckweed. The so-called balkengat (trunk pond). Wilfred returned the pond to its original function and so too the site where saw mills and timber traders were located. He reinstated the method of strengthening timber through allowing the trunks to float in water. Following the traditional seasoning processes, Wilfred uses the native trees in a vernacular design deeply rooted in the Golden Age, Japanese temples, The New Objectivity and Humanism of Anthroposophy. Employing artisan methods, carefully selected other materials and, not uncommonly, the story from those who lived with the tree, a design is born. Wilfred has a strong preference for seeing the object or work of art returned to the spot where nature nurtured the tree. Once the tree has been felled, it floats for a year or longer in the trunk pond. Here and there a new leaf can be discerned, or it appears as though the tree is decaying. The timber becomes stronger. Out of the water the tree is sawn into planks and the drying process begins. 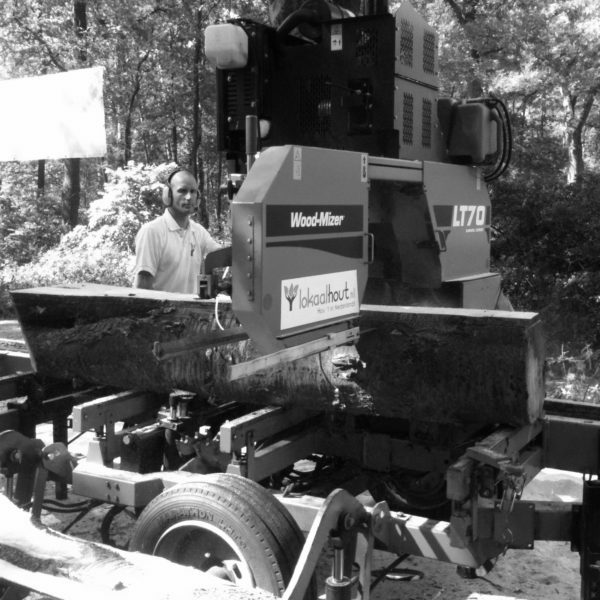 Slicing a tree with a bandsaw is a beautiful moment. The tree unfolds like a book. Each time Wilfred sees something new that was concealed in the tree. It is at this point that the tree provides ideas for designs.